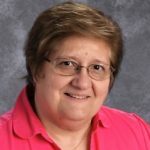 Linda N. Keppel has been a teacher in the diocese of Brooklyn for 30 years, teaching Religion, Math and Science to grades 7 and 8. Having received her Bachelor of Arts Degree in Education (7-12 Mathematics) from Molloy College, she then went to Fordham University and received her Master’s Degree in Religious Education. She is the NYS Science Liaison for the Diocese of Brooklyn and has served as consultant for various projects sponsored by the diocese. She is involved in her home parish as an Extraordinary Minister of Holy Communion, Lector and Co-coordinator of Liturgical Ministries, as well as becoming a Lady Grand Cross in the Equestrian Order of the Holy Sepulchre of Jerusalem. Her belief that every child can achieve success with the right kind of encouragement and support is the philosophy that she has incorporated in the classroom and administration. She joined the Divine Wisdom Catholic Academy family in September 2013 as an Associate Principal to share her expertise and experience.